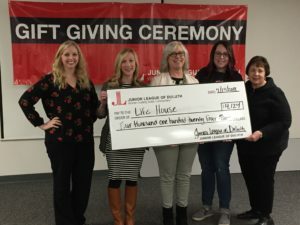 The Junior League of Duluth (JLD) funds and supports initiatives that complement its mission and vision, and address community need by focusing on our membership-selected impact area: food insecurity. $4,124 to Life House for the Meals in A Bag Program and to enhance the quality and nutritional value of food and meals provided that include fresh fruits and vegetables (specifically, the purchase of a local Community Supported Agriculture share during the growing season). 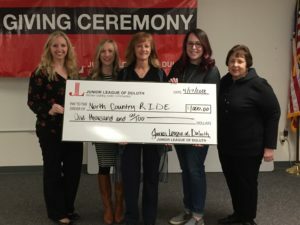 $500 To use JLD Endowment funding towards the purchase of vision screening equipment, supplies used in screening and t-shirts for participants and volunteers for Walk for Sight. 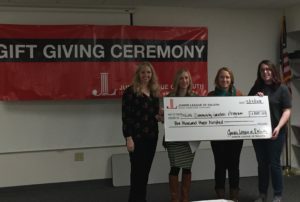 $1,000 to use JLD Endowment funding to hire a Herd Feeder for the 2018 season. 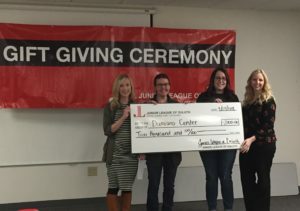 The Junior League of Duluth provides funding to a number of local agencies and organizations that fit within our vision and mission. We welcome all submissions from area organizations. 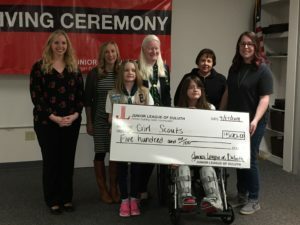 The Junior League of Duluth fiscal year begins July 1. We make financial gifts one time annually. Applications must be submitted via the online Project Proposal Form at the end of January each year. The funding application period is closed for 2019. Please check back later this year for the 2020 deadline. Requests are reviewed based on the application criteria, including alignment with the mission of Junior League and meeting the submission deadline. JLD believes in placing trained volunteers in our community and prefers volunteer or training components included in all Issue-based initiatives/strategies. Requests will be reviewed and organizations will be notified in March of 2019 with funds dispersed by April 16, 2019. Applications will receive a reply stating whether or not an award has been granted. Please note application deadlines and process timeline described above. Other correspondence soliciting donations will be read and considered, however only official applications are guaranteed a response. 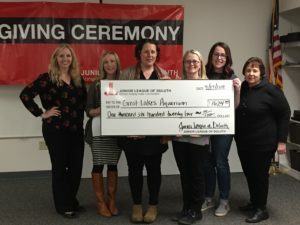 Thank you for your interest in partnering with the Junior League of Duluth.